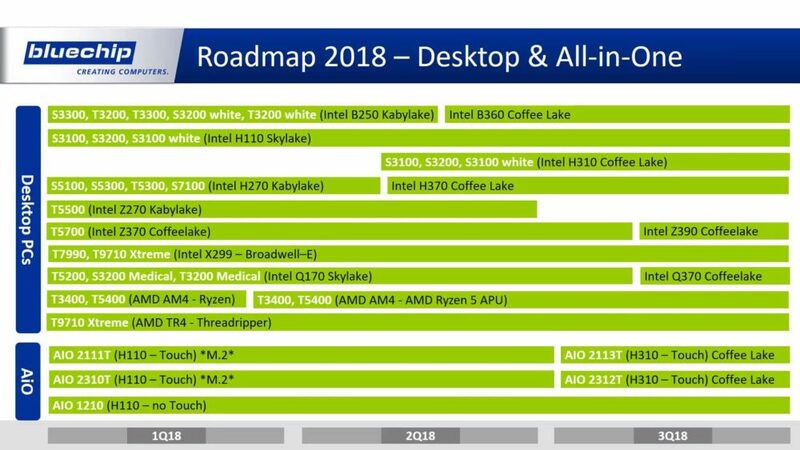 BlueChip, a German IT distributor has revealed roadmaps for upcoming Intel and AMD products. We already wrote about the Z490 chipset, which is basically X470 on steroids (with more PCIe lanes). 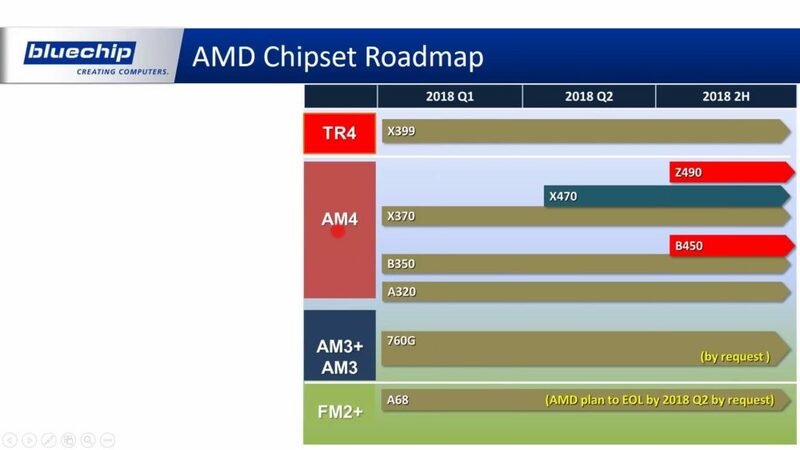 The roadmap posted by BlueChip suggests June 2018 launch for this platform, even sooner than B450 (mid-range chipset for Pinnacle Ridge). 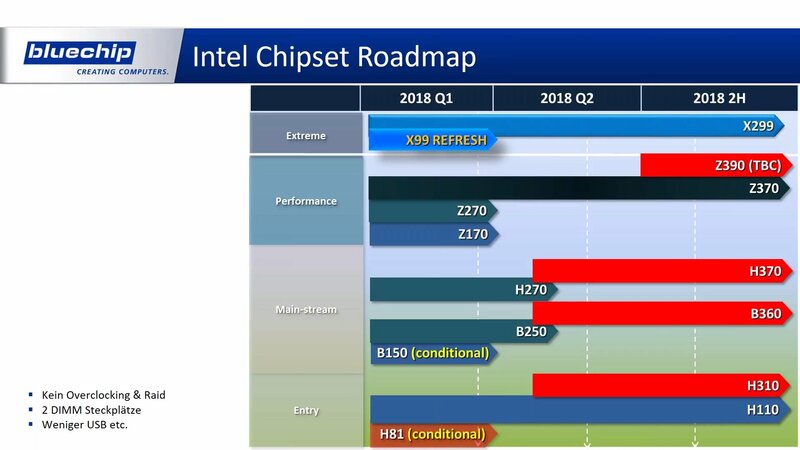 Other roadmaps confirm 8-core Intel Coffee Lake processors coming this year (June to be precise for engineering samples). Those series (probably featuring more than one SKU) will be supported by Z390 chipset, designed for high-end mainstream motherboards. The slides also indicate that Threadripper would rather receive a platform refresh than a new chipset. 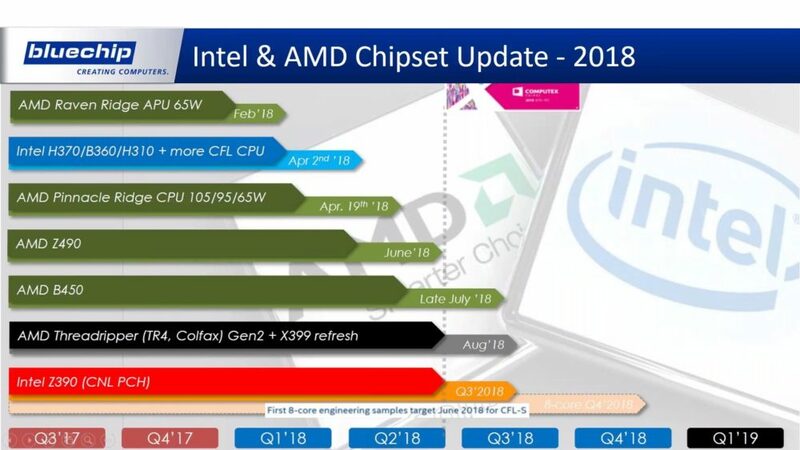 Second generation Threadripper (based on Zen+) is currently expected in August, according to the data provided by BlueChip.